Understanding the value of having some of the best Latin matchmakers available and on your side is important. We are, essentially, an established professional marriage agency in Latin America staffed with real, live professional matchmakers throughout the country that go to work for you immediately when you register here for free. You will be instantly on your way to finding that one special Latin woman who may become your beautiful bride for life. Actually meet amazing Latin women in person by joining our singles tours. Our matchmakers give you a huge advantage that perhaps you don't realize. Our agency is much more than your typical online dating web site or marriage broker for hopefully meeting and dating Latin women. Our website is simply the front door to a marriage agency backed by more than 20 years of experience and a complete staff of well trained experts in matching single, marriage-minded men and women with the hope finding a lifetime of love together. When you register here, and complete your member profile, our professional matchmakers instantly go to work for you at NO ADDITIONAL COST! 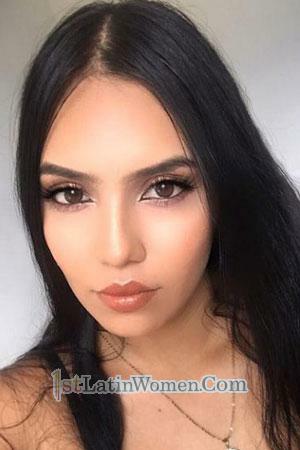 They will immediately go to work matching and introducing your profile to the thousands of Latin women who have also joined our agency who they believe could be a good match for you based upon your profile and noted preferences. Many men joining our service begin receiving letters from beautiful Latin women in just a matter of hours! It is all just part of our service. To better serve you, our agency maintains corporate offices in most major cities throughout Latin America such as Cali, San Jose, and Lima. In other regions we feature numerous affiliate offices that work with us to service all of our members at the highest level. For dating, finding love, romance and, hopefully, a lifetime relationship in Latin America, you will find that our marriage agency is far and away your BEST option available in the singles industry today. You can rely on "1st Latin Women" to provide only the highest level of service and profiles of women members that are personally verified and managed by our local staff in the ladies region. Once logged in you will have full access to all of the women's photos, videos and other information. You are always in control and you choose who you want to communicate with using the variety of tools and support that we provide for you. If a lifetime relationship in marriage with a lovely Latin woman is genuinely your goal, you have found the right place! 1st Latin Women personals and tour clients are able to explore one of the fun city tours together. Here you are going to learn how to meet Latin women for marriage. However, you MUST take that first simple and FREE step to begin your journey of finding the special lady in your life who MAY just be waiting for you in Latin America! With our full staff of some of the best matchmakers in the world, and a top international marriage agency that features more than two decades of successful experience in the singles industry, we are here to help you every step of the way.